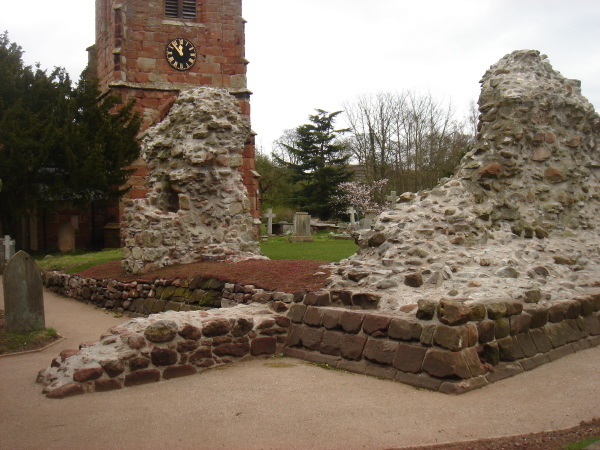 Restoration of a C12 Norman Castle. 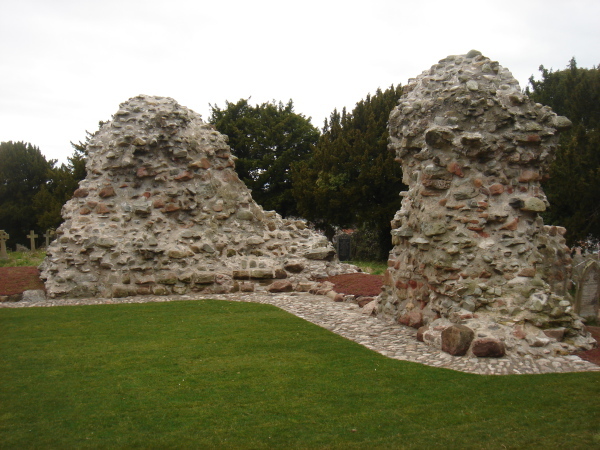 Ruyton Castle comprises the standing ruins of a C12 Norman castle, within the grounds of Ruyton Church. Baart Harries Newall were engaged to carry out a staged project, involving the local community, to expose and repair the castle as a local resource. 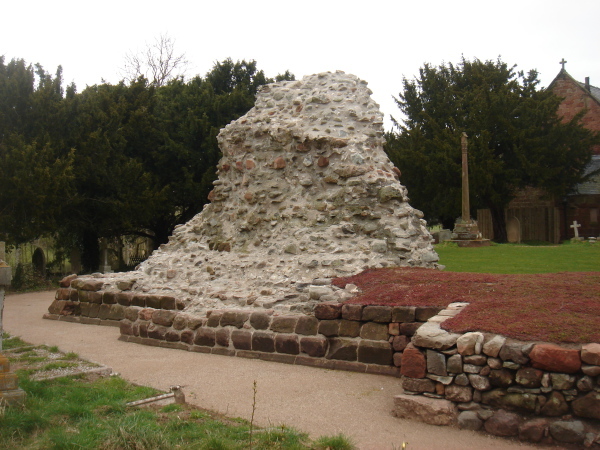 The ground was cleared of overgrown vegetation by local volunteers, and the castle ruins were then excavated – lowering the adjacent ground level and exposing the plinth at the base of the walls. The standing remains were consolidated by conservation contractors, using a variety of lime mortars as appropriate to different locations. 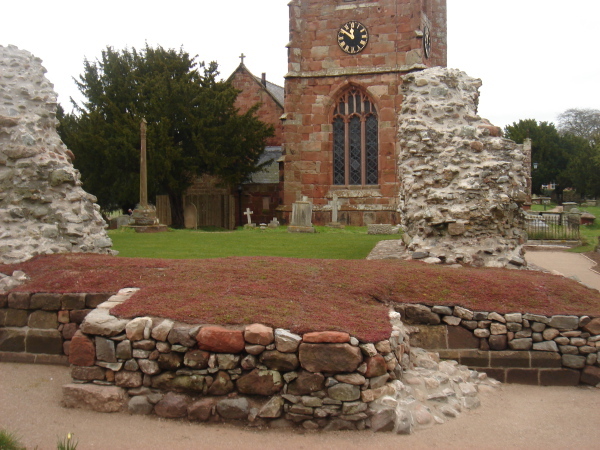 Loose wall remnants at ground level were consolidated with mesh reinforced sedum planting. A level access path of rolled Breedon gravel was provided, with ramped access from the street into the churchyard, to allow wheelchair access to all points of the castle. The central lawn is used by the community for summer event such as fairs and concerts.